The start of the first age of the modern era for Chateau Capbern Gasqueton begins when the Left Bank vineyards were purchased by Georges Gasqueton in 1894. The estate took its name from two of its more famous owners, the Gasqueton and Capbern families. The Gasqueton family managed the estate until 2012. Most recently, the figurehead of Chateau Capbern Gasqueton was the interestingly charming, albeit, quite eccentric Madame Denise Gasqueton. Madame Gasqueton managed the property while marching to the beat of her own drummer until she passed away at the age of 87 in late September, 2011. 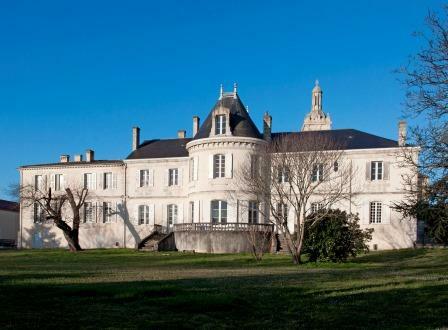 The following year, the second and current modern era for the chateau began July 2012 when Chateau Capbern Gasqueton and Chateau Calon were sold to the large French Insurance company, Suravenir Insurance. Jean-Pierre Moueix, the owner of Petrus and the massive negociant company Duclot, took a minority stake in Chateau Calon Segur and Chateau Capbern Gasqueton. Starting with the 2013 vintage, they dropped the second part of their name and began selling their wine under the simpler name of just Chateau Capbern. Since the new owners took over Chateau Capbern, they started a serious program of improving the wine making at Chateau Capbern. While the owners began a complete renovation of the winemaking facilities at Calon Segur, that was not the case with Capbern Gasqueton, because the estate renovated their wine making facilities in 2011. One of the first moves the new owners made was to hire Laurent Dufau, who quickly turned things around. In 2014, Chateau Capbern Gasqueton produced the best wine in the history of the estate! The 38 hectare Medoc vineyard of Chateau Capbern is planted to 68% Cabernet Sauvignon, 31% Merlot, 1% petit Verdot. This shows a marked change in the vineyard, with more Cabernet Sauvignon planted here. The terroir is a mix of gravel, clay and chalky soils. On average, the vines are close to 30 years of age. The vineyards are located in two different areas with slightly different terroirs. One part of the vineyard is situated not far from Calon Segur. The other section is closer to the Gironde river. However, the actual cellars and wine making facilities are located in the village of Saint Estephe. The Medoc vineyards are located in two different areas with slightly different terroirs. One part of the vineyard is situated not far from Calon Segur. The other section is closer to the Gironde river. Vinification takes place in stainless steel vats. Malolactic fermentation takes place in tank. The wine is aged in close to 60% new, French oak barrels for 18 months. There is a second wine, Le Grand Village Capbern. On average, the production of Chateau Capbern is close to 10,000 cases per vintage. Chateau Capbern can be enjoyed early. However, the wine is often better with at least a few years of bottle age. Of course that can vary slightly, depending on the vintage. Chateau Capbern is usually best enjoyed in the first 10-17 years of life. Young vintages can be decanted for 1 or so. This allows the wine to soften and open its perfume. Older vintages might need very little decanting, just enough to remove the sediment. Chateau Capbern is best served at 15.5 degrees Celsius, 60 degrees Fahrenheit. The cool, almost cellar temperature gives the wine more freshness and lift. Chateau Capbern Gasqueton is best served with all types of classic meat dishes, veal, pork, beef, lamb, duck, game, roast chicken, roasted braised and grilled dishes. Chateau Capbern is also good when served with Asian dishes, hearty fish courses like tuna, mushrooms, pasta and cheese. Alert, titillating, ripe and floral on the nose with a unique blend of earthy raspberries and cassis. Moving to the palate, the wine is medium bodied, the fruit is bright, sweet, crisp, crunchy and spicy. The blend was made from 55% Cabernet Sauvignon, 39% Merlot and 3% Petit Verdot. Blackberry, citrus, spice, earth and cassis provide the perfume for this potential first date. On the palate, the wine is fresh, vibrant, spicy, pure and yet another blast of citrus, which intrigues me. Fast forward to black fruits, chocolate and spice in the finish. Medium-bodied with black raspberries and cassis fruits from top to bottom. Polished, fresh and fruity, with a forward, early drinking character. Fresh, soft, forward, early drinking Medoc, with a gentle black cherry and spice filled character. Approachable, medium bodied, cherry and cassis dominated wine delivers an earthy, spicy, red berry finish. Black cherry, licorice, leaf and black raspberry notes, along with scents of espresso bean open this blend of 60% Cabernet Sauvignon, 28% Merlot and 12% Cabernet Franc. Medium bodied, with slightly dusty tannins and a fresh, black cherry finish are found in this wine. It's aready fun to drink. Tart, light and bright, this crisp, red cherry earth and spice filled wine needs to be consumed if you like the wine as it's not going to get any better with more age.